Inspired by her travels, Chef Sawsan Galal prepares her menu at the Sally Webster Inn with international flavors. 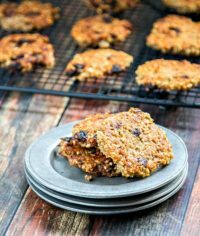 Tapping into her wide array of recipes and techniques, she offers a variety of breakfast items daily. Her core philosophy is keep it fresh, keep it local and keep it simple! Chef Sawsan’s love of food inspires her to create her own unique “in house” products and breakfasts that cater to each guest’s individual tastes and special diets. Hospitality is also at the core of her business. At the Sally Webster Inn, it is all about the relationship that she has with her guests and how she can make them feel at home while on vacation. We are an award-winning Inn recognized as one of the finest accommodations in Rockport and Cape Ann, Massachusetts. The Sally Webster Inn is known for its cleanliness, hospitality, competitive rates, and our buffet style full breakfast. All this and located within walking distance of Rockport Center and the renowned Shalin Liu Performance Center. Come spend some time in Rockport and enjoy the Antique Inspired Inn with today’s amenities. The Sally Webster Inn, a Rockport, MA Bed and Breakfast Inn has a proud history. It was built in 1832 by Sally’s father, William Choate, a housewright. Upon his death in 1859, a share of the property was transferred to each of his 9 children. Sally eventually realized total ownership of the house and it became known as The Sally Webster House. The home became the Sally Webster Inn in the mid 1980’s. 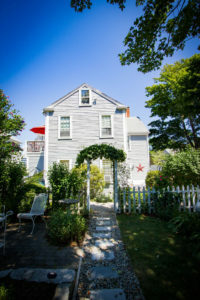 The Inn is located in Rockport’s Historic District and recognized as one of the finest B&Bs in Rockport and Cape Ann. We are very proud of our TripAdvisor Certificate of Excellance and our reviews. Please take a moment during your stay to share your experiences on TripAdvisor or on our Facebook Page. Keep up to date with happenings in our Inn and Rockport by subscribing to updates on our Facebook. Thank you for your continued patronage and kind words!